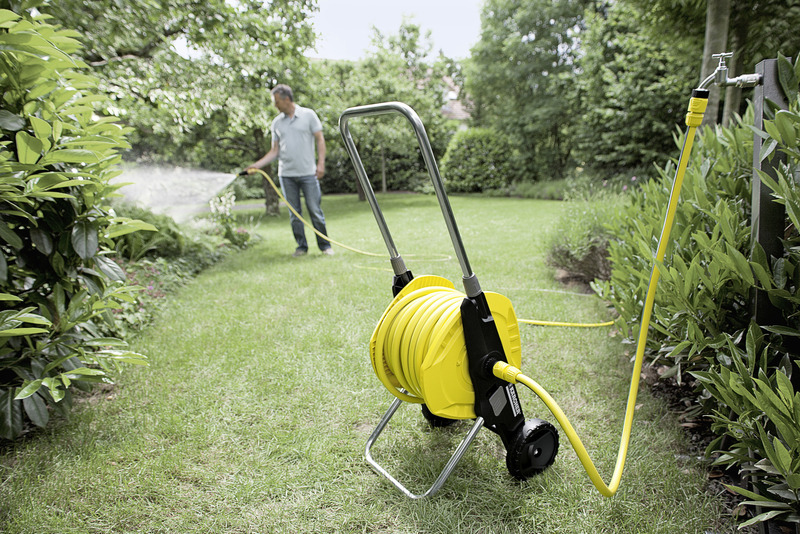 HT 3.400 hose trolley 26451800 https://www.kaercher.com/tn/home-garden/watering-systems/hose-storage-and-hose-trolley/ht-3-400-hose-trolley-26451800.html Hose trolley with height-adjustable push fork, angled connection adapter, smooth-running winding handle and innovative folding function for space-saving storage. Fully assembled. 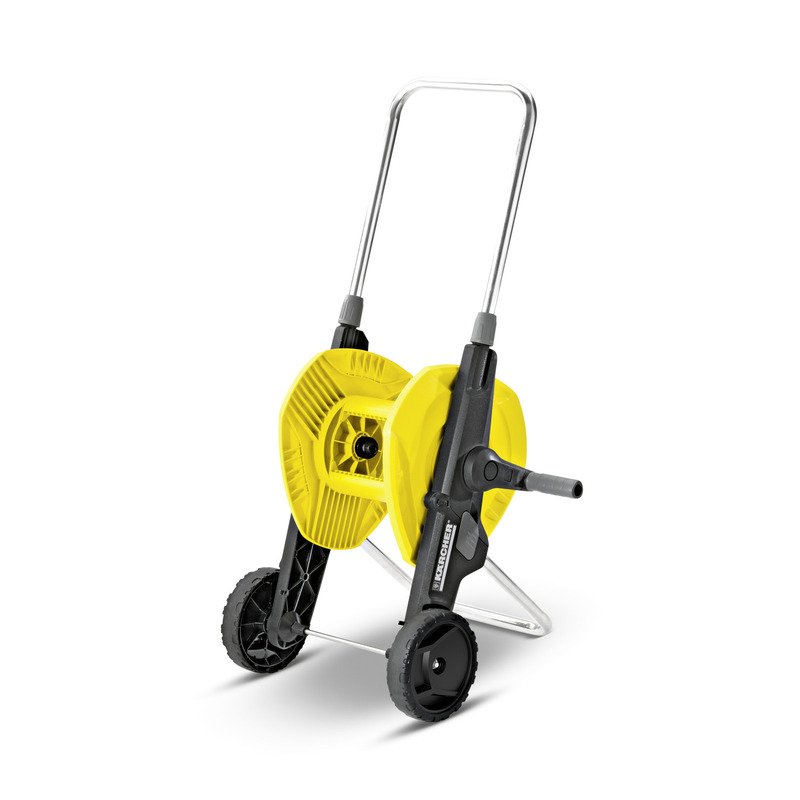 The assembled HT 3.400 hose trolley kit is ideal for watering medium-sized to large areas and gardens. 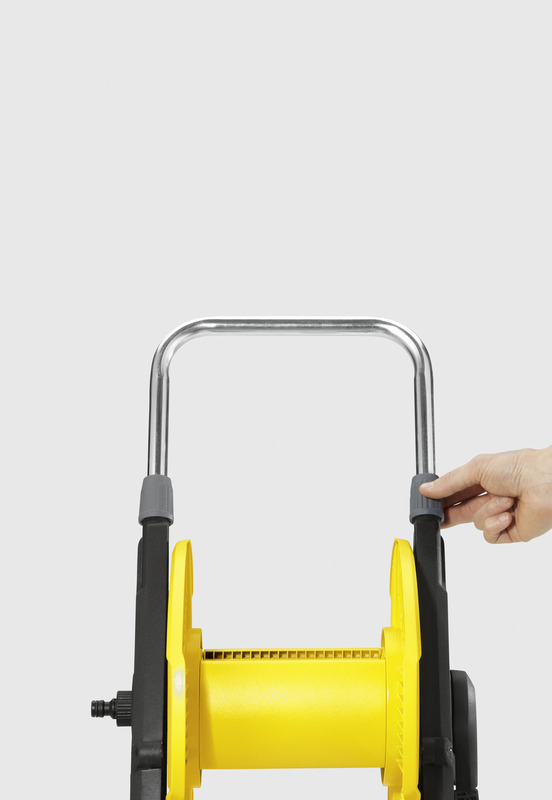 With an innovative folding function, it can easily be folded to save space. 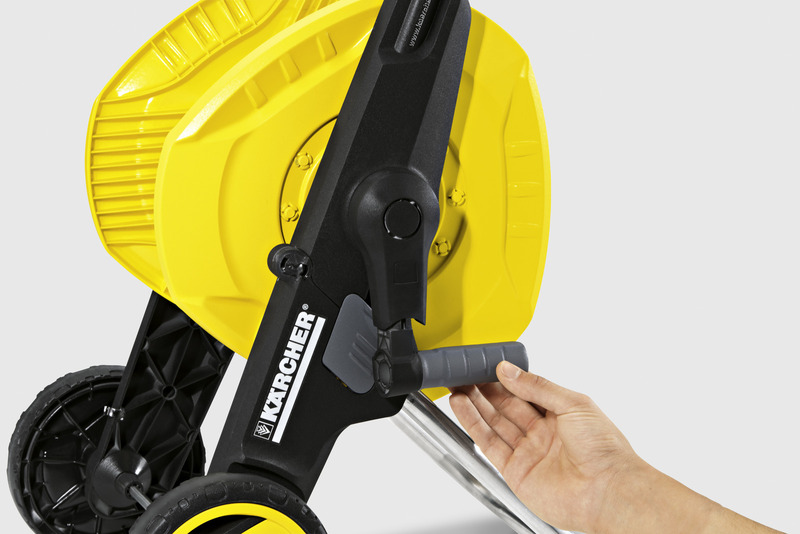 Equipment details: height-adjustable push fork, angled connection adapter, smooth-running winding handle and innovative folding function for space-saving storage. Fully assembled. Capacity: 40 m 1/2" hose or 30 m 5/8" hose or 20 m 3/4" hose. Everything you need for the perfect garden.